Not long ago, reading food packaging labels and making a wise choice was the "in" thing to do. Today, shoppers look beyond the labels — they find it hard to trust them. 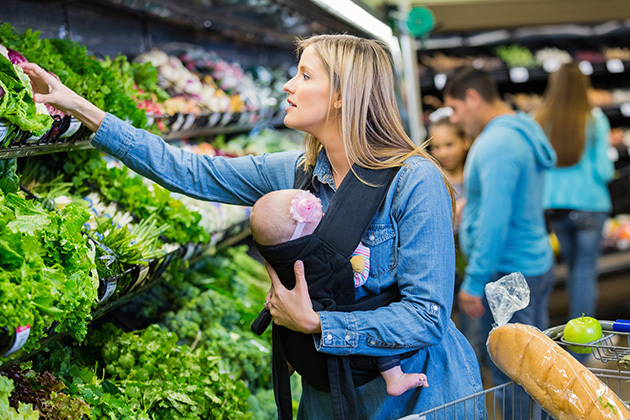 Consumers now demand healthy and fresh food. Supermarkets are aware of this growing awareness and choice for healthier meals and slow-but-steady move away from packaged goods. In the process, opting for organic foods and freshly prepared meals seems like an easy and quick option for both sides. Perhaps the best example of this shift is the shelf-space war in grocery chains across the nation. A recent report by The Wall Street Journal offers an extensive study on consumers' changing food preferences. With more shoppers lured away from the shelves and toward fresher produce, stores have been quick on the uptake. They are devoting less shelf space to big-name brands in dry packaged foods. For brands like Kellogg, Kraft Heinz, Unilever, Nestle and Mondelez, this could mean a severe negative impact on financials. Some have already posted underperformance in the first quarter of North American food sales. Packaged foods have dominated sales for decades. They have represented easy-to-make meals for busy American shoppers. But consumers are no longer just looking for ease. They are looking for a quick, hot meal that is fresh, healthy and available. Supermarkets have picked up on this demand and have started focusing on locally made items, fresh food and hot dishes, which are on display in prominent positions throughout the store. Shelf space devoted to dry and packaged goods is on the decline. For example, new stores designed by New Jersey-based chain ShopRite have more room for prepared meals and significantly less space for packaged foods in the center aisles. Drugstore chain CVS Health's store upgrade plans include more room for healthier food products, too. For the big name brands, 2017 could have been a turnaround year for them, steering their financials away from the slump. Instead, they have seen a 2.4 percent fall in sales volume in the first quarter of 2017, according to market-research firm Nielsen — thanks to the increasingly health-conscious consumers. This, along with the growing competition from store brands and smaller upstarts, means tough times ahead for these packaged food brands. As WSJ reported, while this shift in consumer behavior began some years ago, the added pressure from retailers will have a significant impact on big food makers. It's not just the American consumers' growing obsession for natural, organic foods. An abundant supply of staples like meat and dairy and falling food prices have lowered the cost of fresh foods, thus giving consumers even more reasons to opt for them. Then, there are the cheaper store brands, which offer excellent quality at much lower prices. Retailers like Wal-Mart have stated that the big brands should consider lowering their prices to stay ahead of this stiff competition and keep attracting consumers.